I was born with no thyroid and they did not find out until I was 3 1/2 years old! My younger sister at a year old was already bigger than I was! My mother kept taking me to different doctors who told her I was normal! My grandmother found a doctor that diagnosed me as being mentally and physically retarded! Then he sent me to a clinic to find out why! Within 6 months of starting thyroid medication I caught up to someone 11 months behind what I should have been! There is a family history of thyroid cancer, and my neurologist had an endocrinologist see me after I had a stroke when I was 38. She found I had goiter and nodules, and borderline hypothyroidism. She took the wait and see approach since I was dealing with other issues. Later she did biopsy on 3 nodules. Now they are benign yet they are growing and multiplying. I now have moved to Florida and been told there isn't an endocrinologist within a 100 miles from where I am. My family doctor repeated ultrasound and said my nodules have gotten bigger, let us wait and see. There are times I feel it is crushing my wind pipe, and I am scared and frustrated! I read somewhere that many doctors do not do a T4 test, nor a TSH routinely, when testing for thyroid levels. So at my next appointment I asked my doctor if she did the tests routinely. She said no, but she will that day. Viola! Results showed Synthroid needed to be increased! Symptoms persisted. Another test prompted another increase in the medication. More energy and everything is better! Yep, we do need to keep up with our own health! I was diagnosed with a thyroid tumor at 15 years when I found a lump in my neck. 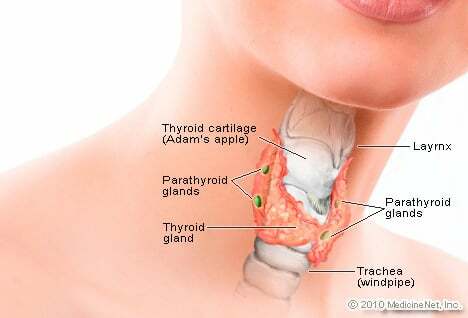 I had my thyroid removed but not parathyroid. I was on the same dose of Synthroid for years. Six years ago I began having migraines with visual disturbance (colored lights), brain fog (to the point of difficulty with conversation and finding words), fatigue, muscle weakness and an array of symptoms off and on. I have always been healthy, athletic, upbeat and a multitasker. My thyroid medication has been changed multiple times with difficulty maintaining vitamin D. Currently I am taking 150 mcg Synthroid and 2000 mg vitamin D daily. My ophthalmologist showed concern with a big change in my sight but my eyes are healthy. I was referred to a neurologist 2 years ago with an MRI that was normal. My endocrinologist says I am within normal range. I am ready to try alternative medication/natural armor thyroid anything to get healthy and productive again.